October, 9-11. 2018. – Open: 8 a.m. – 6 p.m. Despite of the season, the weather has been incredible nice, the sun, catching some rays at this time of the year is a gift of nature. Rolling along in Budapest worthwhile to take your steps to the Grand Market Hall. As a reminder to the coming up next National Days at the Grand Market Hall – Budapest, welcomes locals and foreigners to join the 3 days exhibition. A neighboring country Transylvania will be introducing their culture with programs and also not just to see but to buy on the spot all sorts of hand-made crafts. 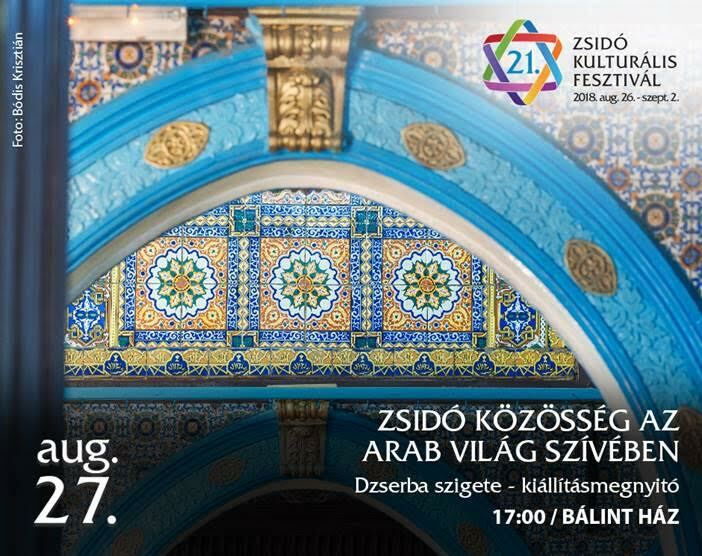 Transylvanian producers will make the Grand Market Hall of Budapest colorful and special for three days event. 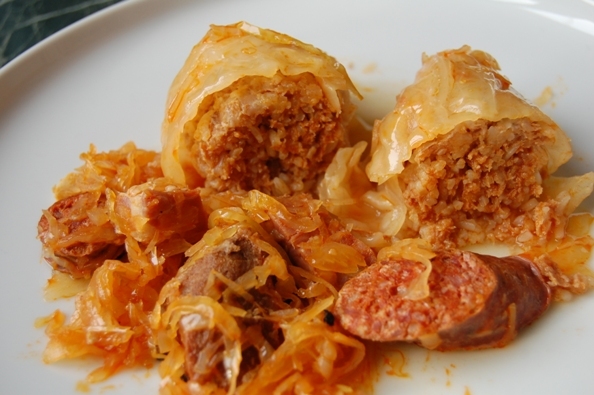 This event gives you an opportunity to try delicious Transylvanian cuisine, to get to know the beautiful handmade products and encounter with the producers personally. One of their foodies comes rain … come shine is for anytime of the year, it is the perfect combination of sweet and salty original chimneys cones. For those who are not familiar … the best way to describe it is a doughnut cone. For the fine taste gurus, they may taste the traditional potato bread, the well-known stuffed cabbage and vinegar with tarragon for the perfect potato soup. In addition, get your special kind of tinctures and honey from the Transylvanian mountains to strengthen immune system and prevent snuffle. Last but not least, do not forget to try the blueberry and sour cherry liqueur. Enjoy your day at one of the most beautiful Grand Markets in Europe. Trafó House of Contemporary Arts. The group formed in Adelaide – Australia in 2009. A Simple Space is their 3rd show and has achieved huge international success, receiving multiple awards, and having performed more than half-a-thousand times in 24 countries across the world. The follow-up show Backbone, created in 2017, has already been nominated for multiple awards, and toured to festivals internationally. The audience maybe never have had seen such a breathtaking performance before! 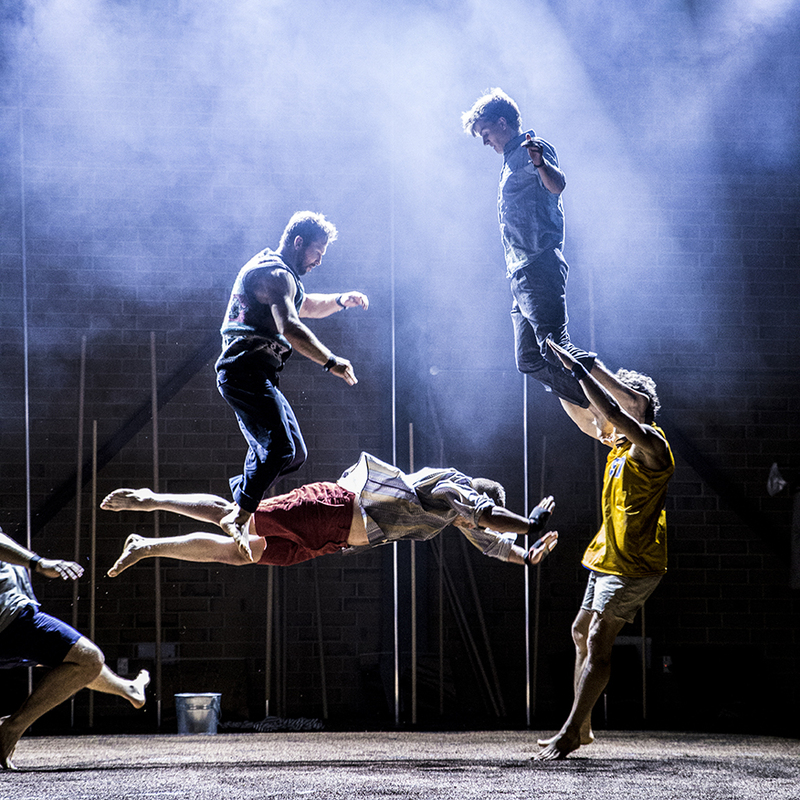 The dynamic acrobatics and contemporary circus theater, full of original twists and most probably many will hold their breath, watching the acrobatics unparalleled energy and charm that made this unique company famous. There will be also live percussion on stage. In circus and theater with the lighting design and operation it present an uplifting sight all the way through 60mins. Gravity & Other Myths have performed Exhale at festivals, award ceremonies, corporate functions, fundraisers and parades and for the first time arriving to Budapest. Supporters: Australian Government’s Major Festivals Initiative, Confederation of Australian International Arts Festivals Inc., Adelaide Festival, Sydney Festival and Aurora Nova. Friday, October 12. at 7 p.m.
Saturday, October 13. at 3 p.m. and 7 p.m. The Freelusion Dance Company is the world’s very first introduced composition, most successful … largest … experienced 3D visuals … dance troupe, which is led by Artistic Director – Timea Papp established during 2009 in Hungary. After their debut at 6 continents and 50 countries finally they take the Hungarians in Budapest on a Magical Mistery Journey into the World of Wonders … Fantasy … unique dynamics of amazement and emotions … Love within a virtual 3D visual with dance theater presenting for our future generation to learn about a new dimension of art. The Hungarian Freelusion are already world stars and finally perform at home to introduce themselves. Their pioneering entertainment brand is a spectacular mixture of contemporary dance trends and 3D interactive projection mapping which takes the audience into a world of virtual reality. Through their beginning up till to-day they collaborated with the Cirque de Monte Carlo and Tim Burton, performed at the Fake Off competition, has won several prestigious competitions in Las Vegas super-production and their name hallmark to the festive play of the Burj Kalifa building – Dubai. It is a unique Broadway style full night performance in 75 min. This performance is an exciting combination of 3D video mapping and modern dance. The show is a mind-blowing experience an audio-visual ecstasy based on different visual elements and talented artists including dancers, stunts even dragons and many more. Previously, building projections were brought alive in Budapest during Advent on the walls of Saint Steven Basilica church and the Deák Square buildings were most welcomed by folks walk on by. An insight of ticket prices: Tickets from 1900HUF – limited sight. ARC. Category: 14900HUF. III. Category: 7900HUF, II. Category: 4900HUF, Category I: 1900HUF. “Meet & Greet” supplement ticket 49000HUF (Take a lifetime of memories home!) … For the first time in Hungary, get an insight into the thrilling 3D projection world! VIP box: 250000HUF for 6 people, (With 2 M & G tickets), VIP box extra: 500000HUF 6 people, (With 4 M & G tickets). To buy tickets at the http://jegyek.freelusion.com/ only written in Hungarian language, below easier for foreigners: so if you’re sure you’d love to be there then better hurry up to get your ticket, cause they are running out very fast … choose your seat. Here is to buy your ticket in English-language at: https://www.jegy.hu/program/amar-the-lighthunter-95480?lang=en … or on the spot at the Erkel Theater. The performance is recommended for over the age of 12. District, VII., 22-24 Dohány Street. Was led around the venue and was told that the idea acctually was born in Hungary and the successful Hungarian idea proven at a couple of the States in America and now-a-days is rethought and returned to Budapest! Opening coming up soon and visitors are invited from Monday – Sunday 9 a.m. – 2 a.m.
Budapest nearby to the party district, creates a new kind of spooky parting out environment within September opening. Neverland is the perfect example of why the image of the “stubborn Hungarian” will never change. Why? Because the escape rooms – Hungarian real-time adventure games – are currently one of Budapest’s main tourist attractions, alongside the ruins. At the moment not sure when will the opening g take place, but it happens it will be from Monday – Sunday between 9 a.m. – 2 a.m. at District VII., 22-24 Dohány Street. This is a fantastic place for those tired of traditional café and pubs but still looking for simply a cuppa tea and/or homemade lemonade. If you are looking for somewhere to have a relaxed conversation with friends while having a beer or wine… pull up a chair! There they will know what you exactly what your thinking of. BAR – Open for not only private events but friends gathering. In addition to premium spirits and craft beer, sheer excitement and wonder will not only be in your glass. Also the Neverland is a grand place with has all-day breakfast available with American-style meals and great drinks. On the menu, you will find tasty treats like crispy deep-fried Jalapeño Poppers and sizzling prawns in garlic sauce served. THE ESCAPE ROOMS – Hungarian real-time adventure games, unmatchable and rewarded with excitement and laughter. The game is about entertaining fun where you can escape from reality. The game is about entertaining fun where you can escape from reality. In an escape room the game relies on solving diverse tasks as a team so you can break out within 60 minutes. You will be given all the important information before the game begins. The price of the room is 3500HUF/person. The rate varies depending on the day of the week, the time you wish to play, and the number of people in your team. All rooms have a maximum of 7 participants. THE VR EXPERIENCE – Virtual reality is part of the fascinating world of interactive entertainment. Technology brings you into an elusive, surreal realm, removing the lines between reality and fiction. From the moment you pick up your VR Glasses, you forget the world around you while you fall into another world. PRIVATE ROOM – The private room has the exclusive look, unique not only in its distinctive style, the exclusive atmosphere, ambiance, and personalized services create a truly VIP experience to the special guests. On request, our private, well-separated room can offer you a pianist and your own bartender as well as many other amenities you may desire. Water pipes, cigars, and pianists complete the sensual atmosphere along with your very own bartender serving missing whiskeys such as the deluxe Johnnie Walker Black Label, the stylish Old Pulteney from Northern Scotland and the 16-year-old Lagavulin Whiskey the Duke of Whiskey. This deep, smoky drink is especially recommended for those who like to indulge long into the night. In addition to the many exclusive services they offer for VIP guests. Further information get in touch through josep.zara@neverland.hu with Josep Zara – event guru. Below are some games description to live through e.g. … Want to be rich, not dead! … Here is a great opportunity…a big win coming! Obviously, in a bad situation, so it’s time to put everything on the line! The Great Wild West Poker Tournament is waiting for you, the prize is half a million dollars! But there is a problem … there is no chance cause the royal flush or two pairs. We will arrange to get arrested and plan our escape later! Another e.g. … Celebrating at the hotel bar when an armed gang attacked. Not long after, you found yourself in a ruined mansion, the former home of a wizard. There are papyrus rolls on the desk, and you are stunned to learn you are in the year 1525! You cling to one another frightfully, then search for something to help you get back to your time. There is a crystal ball and in it, you see a meowing cat with a key dangling from its neck. You are all certain finding this key is will solve your situation. You have one chance to get back: you have to find the wizard’s cat! Also mention another superb experience as You and your fellow prisoners are condemned to death. Your lawyers have done everything they can, but all appeals have been rejected. Your nerves have been crushed by waiting, and the priest called to comfort you through your last hours brings no peace. Time’s up. You are alone with your thoughts in the cold cell. There are 60 minutes until the execution. Can you escape your destiny? Beside many games here you go g.e. …It is the year 2041. You are on a spaceship on your way to the planet Tante … the lonely planet. You were in a state of hibernation, and, after traveling many years a meteor shower has caused damage to some systems. This has caused some of the hibernation systems to disengage earlier than planned. Co-ordination systems are down, but the dashboard timer is still fully operational. You have 60 minutes before oxygen runs out. If you cannot find a closer planet capable of sustaining life, you lose. Further updates as they come available. The exhibition will be open until September, 2. 2018. Photographs speak louder than words… Let them tell the story of the opening “Knight Move” exhibition ceremony of Sam Havadtoy in New York at the Ludwig Museum – Museum of Contemporary Art – Budapest. The official exhibition was opened by Dr. Piero Addis – Director of Villa Reale di Monza, Dr Julia Fabenyi – Director of the Ludwig Museum – Museum of Contemporary Art, guided tour by superb art of arts Sam HAVADTOY and curator of the exhibition Attila NEMES – art historian were present. An artist’s namely San Havadtoy’s career can be examined from many different approaches, for example through the network of relations in which the artist first tests the waters and established his own language. The exhibition focuses on the New York years of painter Sam Havadtoy. The ’70 digs ’80s working relationships with key artists of the city greatly influenced his art of shaping meeting Andy Warhol, Keith Haring, Yoko Ono and many others. Sam was born in London/UK and moved with his family to Budapest/Hungary in 1956. He was 4 yrs. old. In ’71 he leaves Hungary in search of a free world. Arriving in N.Y. ’72 he started working as an interior designer and that’s when he met John Lennon and Yoko Ono whom open the door and introduced Havadtoy to leading art circles and knit friendships. Thereon he received one commission after the other from influential artists, architects and trend-setters. Heard from Attila Nemes about the Disney items, which are large-size original vintage Disney figures from the ’50s, which Havadtoy covered, just as the other items. Disney was an important role of the post-war America national identity. The way Havadtoy plays with these Disney figures, their appropriation the development of the items distances them from the world of cartoons and places them into a new field of interpretation. They start behaving as if they were part of the post-war American-European memory within spaces which, historically speaking, belong solely to European culture. The Mickey Mouse figures in Genoa, Naples or a Neo-Renaissance place in Budapest appear in the framework of a game involving the politics pf memory. One of Andy Warhol’s reaction as visiting Sam was …“I only came to arrive” and surely the visitors to go to Sam Hadvatoy can also say they have come to arrive to a sophisticated awesome exhibition. Yoko Ono once said Q.: “An artist is born. I am touched by the magnificence of his work. He has dipped into the old Hungarian spirit and culture and created a work that is very now. It is Hungarian, very Sam Havadtoy and it’s beautiful.” To learn more about the background of the artist’s items, furthermore about the relationship between Sam and Yoko must visit the Ludwig Museum – Museum of Contemporary Art – Budapest before the closing date. The exhibition items are in English and Hungarian-language with inscriptions information. Most of Sam Havadtoy items belonging to the collection of the Ludwig Museum – Museum of Contemporary Art – Budapest and some to private collectors. 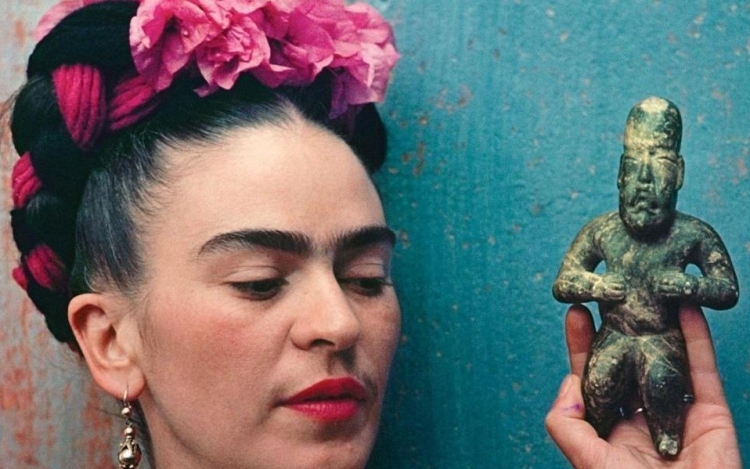 Mexico City to Budapest – Museo Dolores Olmedo bringing Frida Kahlo to Hungarian National Gallery. Exhibition: Building C. – Ground Floor. Saturday, July, 7. – Sunday, November, 4. 2018. Probably the most defining and iconic female artist of the twentieth century, Frida Kahlo is the subject of an exhibition at the Museum of Fine Arts – Hungarian National Gallery in the summer of 2018. Thanks to the kind generosity of the Museo Dolores Olmedo, Mexico City, and several other important Mexican collections, more than thirty paintings and other works by the artist are being brought on loan to Budapest. The selection – which not only features the artist’s hallmark self-portraits, but also includes such major works as her very first canvas, painted in 1927, as well as paintings and portraits inspired by the events in her life, works suffused with symbolism, drawings, and even photographs – offers a glimpse inside the evocative, yet physically and mentally tormented inner world of Frida Kahlo, and shows us the mythical reality that she experienced and recreated. Frida Kahlo, who originally intended to study for a career in medicine, was prone to illness from her earliest childhood. At the age of six she contracted a viral infection, which malformed her right leg; as a teenager she was involved in a bus accident, receiving multiple fractures to her spine and pelvis. Her injuries caused her intolerable pain, and she was confined to her bed for long months. She found escape from her suffering in painting, and the source of her art was her own self – the window onto her particular reality was the mirror, in which she could see her reflection looking back at her. The stiff, hieratic self-portraits that Frida Kahlo painted, mostly directly facing outwards or in two-thirds profile, were projections of the artist’s inner world, which helped her to create a new, versatile and exciting ego, radiant with energy, with which to confront the outside world. Her characteristic style of painting largely followed classical precedents, but was also richly nourished by Mexican folk culture. Many of her works are enlivened by historical, archaeological and ethnographic elements of Mexico before the Spanish conquest.Through the magnificent works on display, the Budapest exhibition conjures up the intricate and organic unity between the life and art of Frida Kahlo.